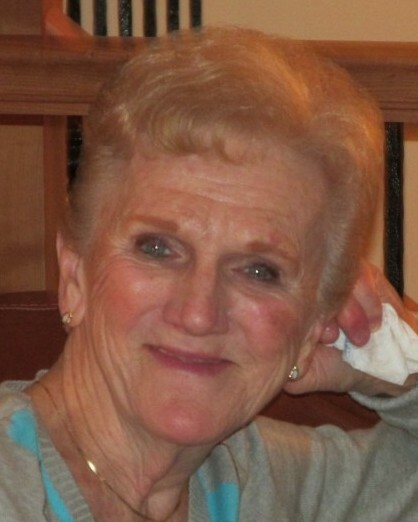 CHICOPEE- Georgette (Toussaint) Piquette, 87, of Chicopee, passed away at her home on Sunday, March 24, 2019. She was born in Holyoke on December 11, 1931, a daughter of the late Joseph and Corinne (Rouillard) Toussaint. She worked as a deli clerk for over 20 years at Fruit Fair in Chicopee. Prior to that, she worked in the deli at Pat’s Supermarket in Holyoke for 20 years. In her spare time, she enjoyed cleaning, gardening, and going to Ogunquit Beach. She was predeceased by her husband Frederick Piquette and her sister Clarice Vincent. She will be dearly missed by her sons, Kevin Piquette and his wife Laura of Chicopee; Bruce Piquette and his wife Joy of South Hadley; her grandchildren, Kristin, Christopher, Ryan, Andrew, and Evan, her great-grandchildren Emma and Colin, and several nieces, nephews, cousins, and friends. Visiting hours will be held on Tuesday, April 2, 2019 from 10:15-11:30AM at Brunelle Funeral Home, 811 Chicopee St, Chicopee with a Liturgy of Christian Burial at 12noon in St. Anthony of Padua Church, 56 St. Anthony St, Chicopee. The Rite of Committal and Burial will follow at 2PM in the chapel of the Massachusetts Veterans’ Memorial Cemetery, 1390 Main St, Agawam. In lieu of flowers, donations in Georgette’s name may be made to the Dana-Farber Cancer Institute, P.O. Box 849168, Boston, MA 02284. For more details please visit www.brunellefuneralhome.com.